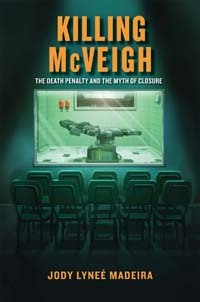 BOOKS: "Killing McVeigh: The Death Penalty and the Myth of Closure"
(J. Madeira, "Killing McVeigh: The Death Penalty and the Myth of Closure," New York University Press (May 2012); DPIC posted May 23, 2012). See Victims. Read more books on the death penalty. Listen to DPIC's podcast on Victims.